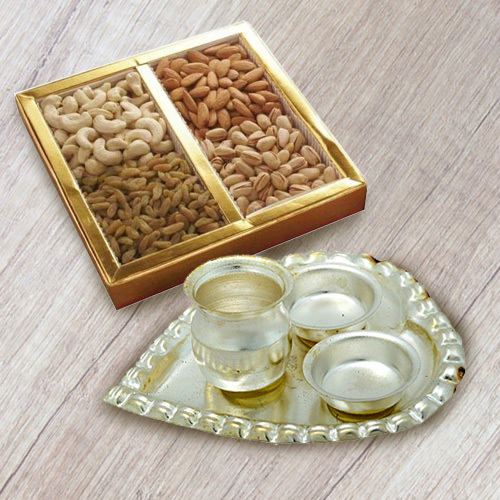 Silver Plated Paan Shaped Puja Aarti Thali (weight 52 gms) with Assorted Dry Fruits 500 Grms. (Gross Weight). Silver Plated Paan Shaped Puja Aarti Thali (weight 52 gms) with Assorted Dry Fruits 1 Kg. (Gross Weight).